1. Use, Employment, Exercise, Usage, Utilisation, Utilization : استعمال کرنے کا عمل - استعمال میں لانا کا عمل : (noun) the act of using. He warned against the use of narcotic drugs. 2. Use, Apply, Employ, Utilise, Utilize : استعمال کرنا - کام پر لگانا : (verb) put into service; make work or employ for a particular purpose or for its inherent or natural purpose. Commit, Consecrate, Dedicate, Devote, Give - give entirely to a specific person, activity, or cause. 3. Use, Function, Purpose, Role : استعمال - کام : (noun) what something is used for. 4. 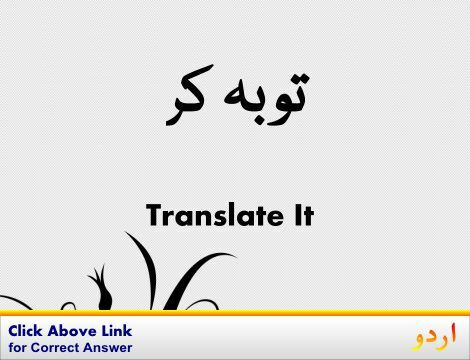 Use, Habituate : روز استعمال کرنا : (verb) take or consume (regularly or habitually). 5. Use, Expend : خرچ کرنا - استعمال کرنا : (verb) use up, consume fully. 6. Use, Consumption, Economic Consumption, Usance, Use Of Goods And Services : استعمال : (noun) (economics) the utilization of economic goods to satisfy needs or in manufacturing. Employ, Employment : ملازم پر رکھنا : the state of being employed or having a job. "They are looking for employment"
Built-In, Constitutional, Inbuilt, Inherent, Integral : پیدائشی : existing as an essential constituent or characteristic. "The Ptolemaic system with its built-in concept of periodicity"
Use Of Goods And Services : استعمال : (economics) the utilization of economic goods to satisfy needs or in manufacturing. Us House Of Representatives : ایوان نمائندگان : the lower legislative house of the United States Congress. How this page explains Use ? It helps you understand the word Use with comprehensive detail, no other web page in our knowledge can explain Use better than this page. 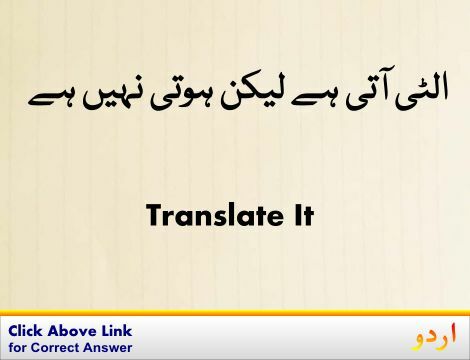 The page not only provides Urdu meaning of Use but also gives extensive definition in English language. The definition of Use is followed by practically usable example sentences which allow you to construct you own sentences based on it. You can also find multiple synonyms or similar words on the right of Use. All of this may seem less if you are unable to learn exact pronunciation of Use, so we have embedded mp3 recording of native Englishman, simply click on speaker icon and listen how English speaking people pronounce Use. We hope this page has helped you understand Use in detail, if you find any mistake on this page, please keep in mind that no human being can be perfect.